Even before George Lucas created his Special Editions, the filmmaker was tinkering with Star Wars. Case in point, if you saw the 1977 original in 1977, it didn’t have an “Episode” or even a title beyond “Star Wars.” That was added in 1981 and ever since then, the changes haven’t stopped. In a series of videos, YouTube user Marcelo Zuniga has done a fairly extensive job of cataloging all of these adjustments, not just for Star Wars but The Empire Strikes Back and Return of the Jedi too. As you’ll see, the original film has the most differences. Everything from the 1981 addition of “Episode IV A New Hope” to the crawl, then to the controversial additions in the 1997 Special Edition like Greedo shooting first, Jabba the Hutt appearing in Mos Eisley, and additions to the X-Wing assault at the end. Both The Empire Strikes Back and Return of the Jedi have also seen lots of changes over the years. Empire is the most pristine, though the inclusion of a scream to Luke’s final fall is largely frowned upon (tweaks to the Wampa battle and Cloud City are among the most accepted). 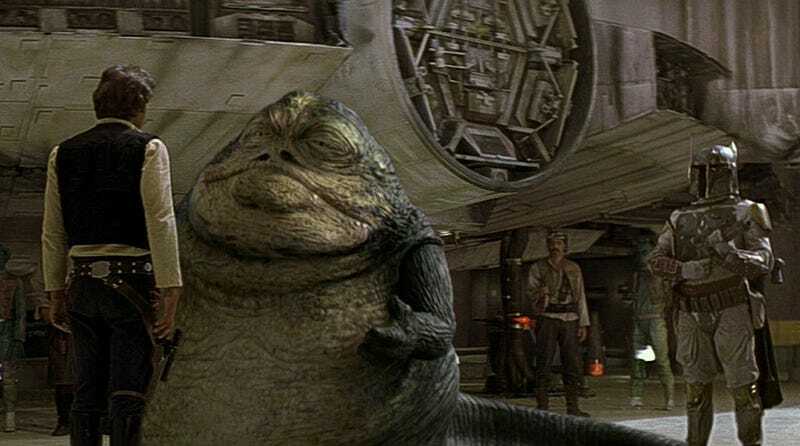 Jedi not only added the truly embarrassing “Jedi Rocks” sequence to Jabba’s Palace, but Hayden Christensen as Anakin Skywalker to the film’s final moment and more. There are lots of others too, which you can see here. And while it’s entertaining/infuriating to see the changes in the films presented in this manner, most of it is very well-known. Some of the more surprising additions are the subtle changes made to the 2011 Blu-ray release in terms of color and clarity. Nevertheless it feels like the original films, as they were first released, are forever lost to history. Maybe one day Lucasfilm, 20th Century Fox and Disney will figure something out. Until then, videos like this are some of the best preservations of the history of Star Wars.